Job offers Unfortunately, there are no available positions at bfz Steinmeier at the moment. 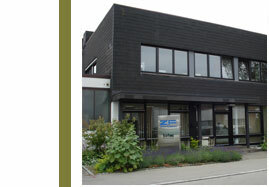 bfz Steinmeier GmbH & Co. KG offers you interesting and callenging tasks in an innovative environment. We like our staff members to contribute to the company's success with their ideas and qualifications to take part in the international expansion of our company. A dynamic and flexible team is awaiting you.